At S & H Glenco Manufacturing, LLC, we provide machining services that offer precision and flexibility in one single manufacturing solution. Developing our capabilities since 1957, we have become a premier source for screw machining that is able to accommodate complex designs and demanding project applications. Many of our projects see us creating a production process for a customer, and then using that to consistently build millions of units. The project highlighted here is one such example. We were contracted by a Flashlight assembling customer to fabricate a universal shoulder screw, used within their own production process. Very tight tolerances would need to be held throughout production of the 0.198" by 0.187" diameter screw. The screw would also have to be plated for additional protection. We elected to use a manufacturing approach combining our screw machining with deburring, plating, and heat treating steps in order to get the best final result. Free machining brass alloy was selected as the base material, being predictable to machine precisely and more than strong enough for the customer’s application. We achieved maximum tolerances of ± 0.0005" with hundreds of thousands of units being produced every month. Dimensional inspections were employed to ensure that the final product was in-spec and high quality. We continue to produce 9,000,000 of these screws yearly for the customer. Not many precision machine shops are able to accurately reproduce a product at such high numbers. 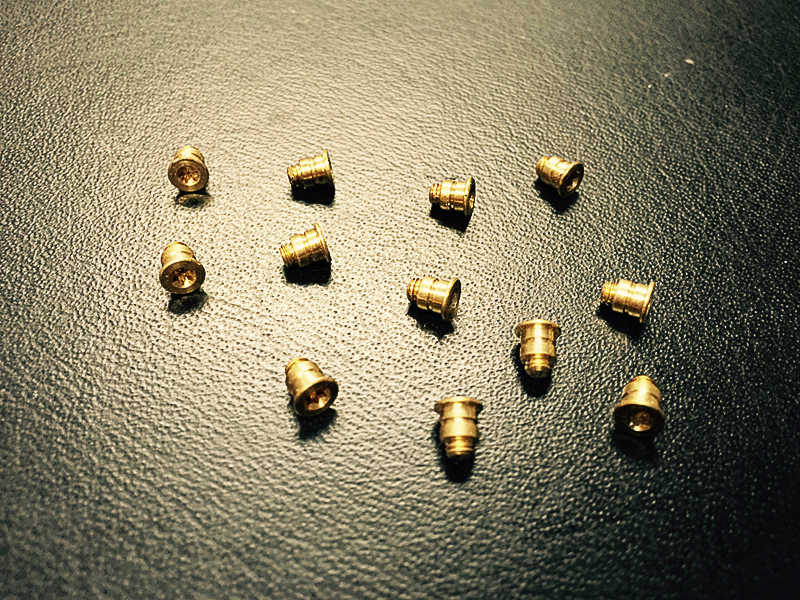 Our screw machining approach gives the customer that unique advantage. For more information about our services, feel free to see the table below and contact us directly.